Ranging from individually modest to extravagant - the system of round cases is perfect for constructions with the highest architectural needs. 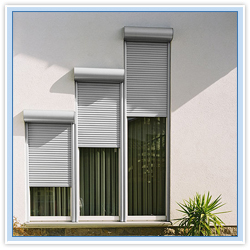 The proven and reliable technique of the Rolset roller-blinds is connected with an elegant and modern aluminium case with round shape. Thanks to this unusual form, an architect and investor may provide every elevation with totally individual character. 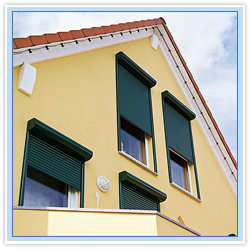 The round roller-blinds are made in accordance with individual dimensions and are provided with an integrated anti-insect net at the request. 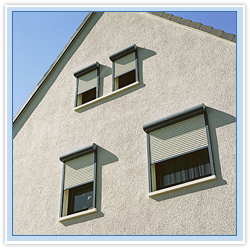 It does not matter if the roller-blinds are assembled in new or existing buildings. 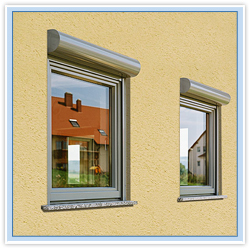 Diversity of assembly variants meets all planning requirements. 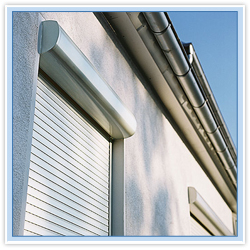 The Rolset aluminium roller-blinds ideally connects protection functions with still bigger demands made to the elements, which main objective is to provide modern elevation with an individual and permanent looks. The round over-plaster roller-blinds are available in a standard colour palette at an affordable price. 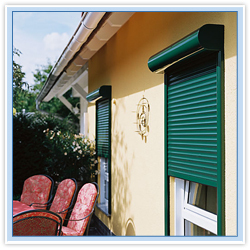 We provide the pressed version in many colours including more than 180 shades of RAL palette.